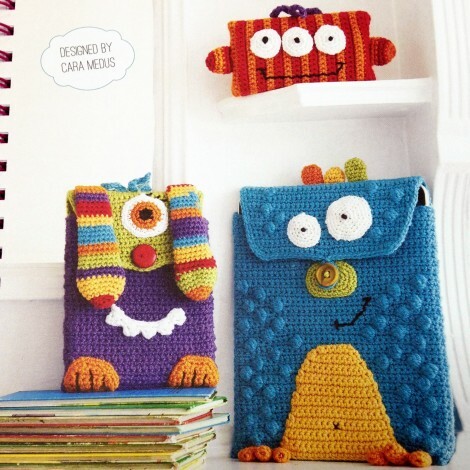 I am very excited to be featured in the latest Mollie Makes book about Crochet. 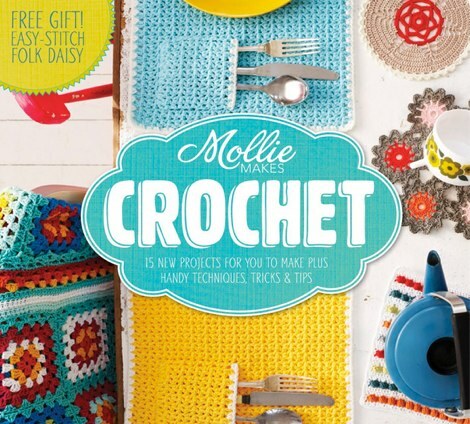 Mollie Makes Crochet, published by Collins and Brown, has just been released, so at last I am able to shout about it! 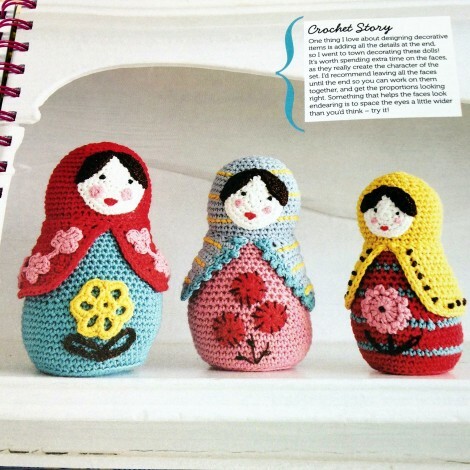 The book has lots of helpful info on learning to crochet, and some beautiful projects for inspiration to boot. I love the layout of the book too – it’s really clear and easy to follow and has some great technical illustrations (I love technical illustrations – sad but true!). I designed three monster gadget covers and a set of Russian dolls. 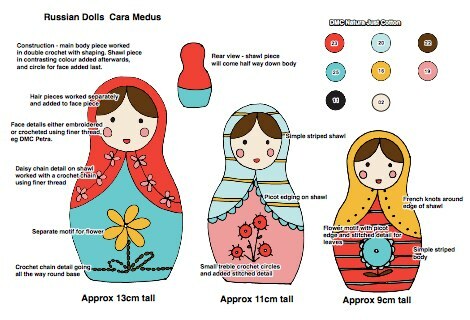 I think it was nearly a year ago that I was actually making these I was just going to write that the Russian dolls were fairly straightforward to make, and then I remembered what actually happened! The shape was quite tricky and involved a bit of trial and error, and getting the three to be similar proportions was also a bit of a challenge. I had drawn a sketch first, which was what I submitted after being asked to contribute, and it actually helped quite a bit when designing them as I used measurements from the sketch to help with the proportions. In theory the gadget covers should have been easy too, but I didn’t have an iPad or a Kindle to gauge the size with. I don’t know why I didn’t think of this at the start of the process, but I ploughed in by just using the measurements, spent three quarters of the time worrying about whether they would fit, and then decided to make a cardboard mock-up of the gadget which helped a lot! They did work out ok, but I think it’s the pressure of having such short deadlines for these kind of projects that makes one a little crazy and not think straight. The thought of having to rip out a project that has already taken 10+ hours in order to make it fit is not a good one… Speed crocheting being of the essence, I also completely bodged the tension on the iPad cover, and it ended up a very wonky shape. Fortunately a bit of severe blocking and bullying it into shape remedied the problem. My boys loved the iPod covers when I was making them, so I decided to make a couple for them for Christmas. I did one in the same colours as in the book, and another in purple and green stripes. They have been very popular!